This charming book is in its second edition (the first was published in 1994). It is about integers, with a short section for each number between 1 and 200, and a line for each between 201 and 999. 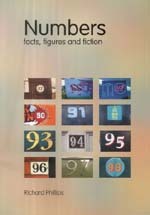 There are "boxes" for interesting facts and definitions, such as "perfect number", and a few "large numbers" also make the cut, including 1729, the subject of a famous anecdote about Hardy and Ramanujan, and 101000, the googol. 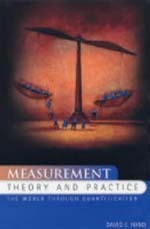 Measurement is a tricky business, and rarely leaves the thing measured unchanged, as Heisenberg's Uncertainty Principle states at the quantum level. But statistician David Hand has gone back to the foundations, examining measurement right across the various disciplines: psychology, medicine, physical sciences, economics, the social sciences and elsewhere. He must treat in a unified manner scales used to measure phenomena as different as pain, retail prices and magnetism. Most of us could not work without a computer, or have a good time without a CD player, and yet we know very little about the way computers work or the quantum mechanical principles behind lasers. These two subjects involve complex concepts and it is not easy to explain them in a brief book. 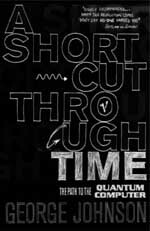 Nevertheless, "A shortcut through time" manages to present a clear and enjoyable crash course on quantum computers, a science which lies at the intersection between quantum mechanics, computer science and mathematics. Infinity is more than simply the biggest ever number, and even this simple description has caused problems for mathematicians throughout the ages. 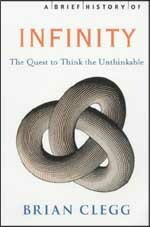 From the ancient Greeks to Newton, from Newton to present-day mathematicians such as Cristian Claude and Boris Pavlov of New Zealand, infinity has posed both practical and conceptual problems. It feels like we've always known that the universe began with a Big Bang, and like the Big Bang could never have been called anything else. But this is far from the truth, as Simon Singh explains in this overview of the state of human knowledge about the beginning of everything (or, as Calvin of "Calvin and Hobbes" preferred to call it, the Great Kablooie). In our day-to-day lives we all use, and are in fact dependent on, physics. For example, all of modern (and not so modern!) technology relies on our knowledge of underlying physical principles. 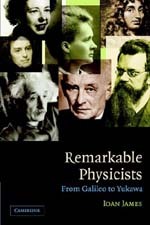 However, physics is also one of the most commonly feared sciences, with many people put off by the complex details which have developed alongside the subject's sophistication. 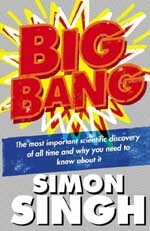 Have you ever wondered how high a flea of the size of a human could jump, why rivers meander or how high a tree can grow? 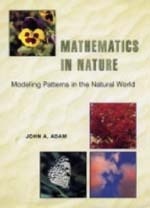 Mathematics in Nature provides answers to all these questions and many more, while introducing the reader to the ideas and methods of mathematical modelling. 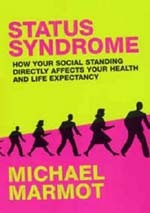 This book from Professor Sir Michael Marmot (knighted for his services to epidemiology and understanding health inequalities) is concerned with a very simple question: why do people of higher status have better health and live longer than those of lower status?